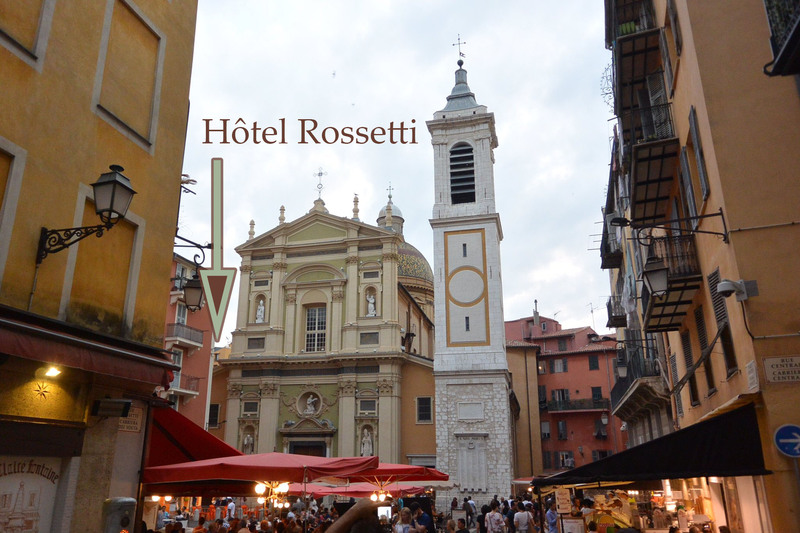 We are located at 1, rue Sainte Réparate - a pedestrian street right by the lively Place Rossetti square and next to the Nice Cathedral. The old town in Nice is small and the distances are short, however the street layout is not intuitive - especially when you come the first time - and the map below might be helpful. When arriving by train, we would recommend you take the tram from the Nice train station to the Cathédrale - Vieille Ville tram stop. When arriving by plane, you may take bus number 98 (every 16 minutes at 6 Euros) and alight at the Cathédrale - Vieille Ville stop. Alternatively, when arriving by taxi you may ask to be dropped off on rue de la préfecture in front of the Pâtisserie LAC chocolate shop. From here you have 100 meters to walk (our street is closed to traffic). 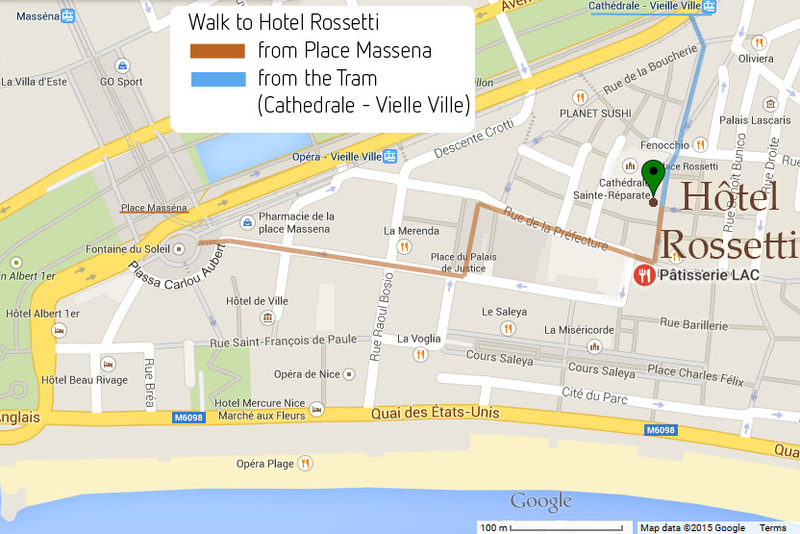 You can easily walk to our hotel from Place Masséna or the Cathédrale - Vieille Ville tram stop. There are several parking options in vieux nice - see here for details. Usually we recommend the Palais de Justice car park, which is located under the Place du Palais de la Justice square and a short walk (~400 meters) from the hotel.